Quinta da Teimosa price per day from € 70 Offering an outdoor swimming pool the scenic Quinta da Teimosa is located 4 The Alvarinho wine-producing property offers local jams are offered to guests, along with a wine tasting session. The whole house features areas with exposed stone walls. Guests are welcome to cook their own meals in the kitchenette, enjoying them in the dining area..
Casa do Parada price per day from € 60 Reconstructed country house with an outdoor swimming pool in a typical northern village near the Spanish border. The double rooms also feature a terrace and a furnished balcony, with a view of the garden and pool. 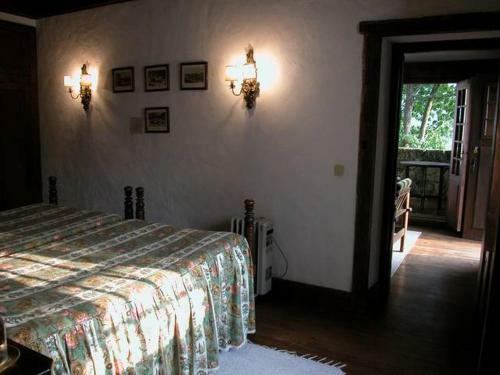 Casa Dos Cabecinhos price per day from € 50 Located in Cabecinhos, Britelo, Casa dos Cabecinhos offers self-catering apartments in Peneda-Gêres National Park. Some apartments are located on the ground floor, and others on the 1st floor. Children can have fun outdoors, at the playground, while the older ones explore the natural surroundings..
Quinta da Torre de Refoios price per day from € 160 Featuring free WiFi and an outdoor pool, Quinta da Torre de Refoios offers pet-friendly accommodation in Ponte de Lima, 28 km from Braga. Certain units have views of the mountains or garden. The nearest airport is Francisco Sá Carneiro Airport, 63 km from the property..
Quinta do Ameal price per day from € 90 Featuring a 16th century manor house surrounded by lush gardens, Casa do Ameal is located 1 km from Viana do Castelo’s historic centre. They all feature a kitchenette with a fridge and an en-suite bathroom. The sandy beaches of the Atlantic Ocean are 4 km away, whilst the Lima River is just 1 km away. 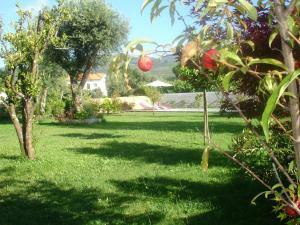 Casa do Souto Offering a garden, Casa do Souto is situated in Arcos de Valdevez, 38 km from Braga. There is a seating and/or dining area in some units. There is a private bathroom with a shower in each unit. The nearest airport is Francisco Sá Carneiro Airport, 78 km from Casa do Souto..
Casa Pogido Offering free bikes, the 2-bedroom Casa Pogido is located in Arcos de Valdevez, a 10-minute walk from a river beach. 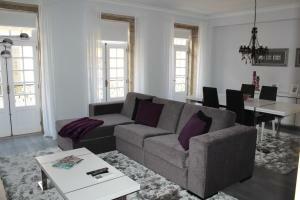 The accommodation’s living room includes a sofa, dining table and a TV. Meals may be prepared in either the kitchen or on the barbecue facilities..
Casas De Alem Ecoturismo Located in the heart of the Peneda - Gerês National Park, Casa de Alem Ecoturismo offers a holiday home made of wood that offers sensational views of the surroundings and an outdoor pool. The living room includes a sofa, satellite TV, DVD player and CD player. Casa de Reborido Casa de Reborido is a holiday home featuring a garden with an outdoor pool, situated in Ponte da Barca in the Norte Region Region. 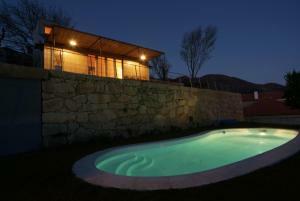 The holiday home is composed of 2 bedrooms and 1 bathroom, fitted with free toiletries. Towels and bed linen are available in this self-catering accommodation. 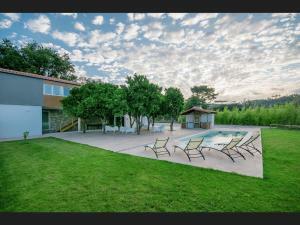 Casa da Azenha Branca Immerse in lush vegetation, on the left bank of Neiva River, Casa da Azenha Branca is a 2-bedroom holiday home a 10-minute drive from Esposende. It is 15 minutes’ walking from the nearest bus stop. The kitchenette opens out to the living room and features a refrigerator, microwave, oven and stove. 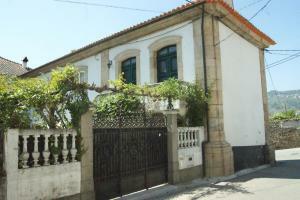 Hotel Padre Cruz price per day from € 23 This hotel features accommodation in Valença do Minho. Local restaurants are available within 500 metres, most serving traditional Portuguese meals. There is a shared lounge area, which includes comfortable sofas and a TV..
Casa das Cortinhas price per day from € 65 This 20th-century bed and breakfast is located in the heart of Minho. All rooms are simply furnished with wooden furniture. Casa Do Anquiao price per day from € 90 Casa do Anqiuão is located on the golf course of Ponte de Lima and features a garden with an outdoor swimming pool. For other meals, we recommend the restaurant at the golf course, Migaitas Golf restaurant, 3 km from Casa do Anquião. Some impressive 14th century watchtowers mark the medieval boundaries of the city..
Casa do Cais Cerveira price per day from € 55 Casa do Cais Cerveira is a cosy house with views over the walls of the Cerveira Castle and located at 160 metres from the centre. Featuring a living area with a flat-screen TV, this house includes a kitchenette, dining area, private bathroom, and central heating. 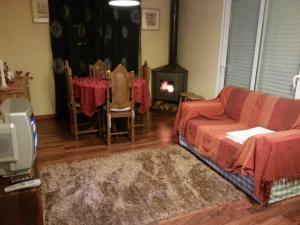 Bungalows da Peneda price per day from € 55 The Bungalows da Peneda are sited in a natural area, surrounded by a forest. This secluded and tranquil property is in the Peneda-Gerês National Park and offers accommodation in 1-bedroom and 2-bedroom bungalows. 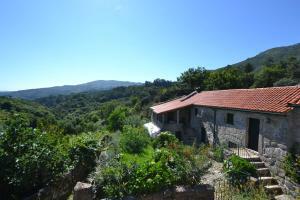 The units also include a small terrace and privileged views over the surrounding forest area..